A compilation of my special series of posts plus some of my top hits! Since I had a baby who weighed nearly twelve pounds at birth and who loved loved loved to be held, I learned some tricks for hauling him around comfortably! 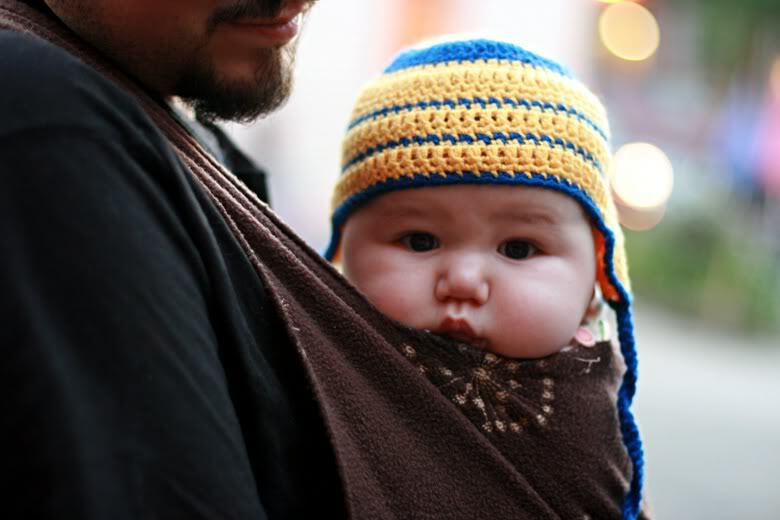 These tips can be adapted for any size baby, but I have a heart for all the chunky monkeys out there — and for their parents' backs! Try out these soft baby carriers, listed in the chronological age order we used them, to carry your baby easily all the way into toddlerhood. This is an automatically updated feed that shows all posts labeled as favorites, generally based on high traffic and reader interest. And then some I added just because I like 'em. A hearty thank you to Paige of Baby Dust Diaries for showing me how such feeds are made.